This unit is called Identity and Conformity. When you look at this picture what ideas and thoughts come to your mind? Is this quote accurate? Why might this occur? Do you agree with Emerson? Why/why not? 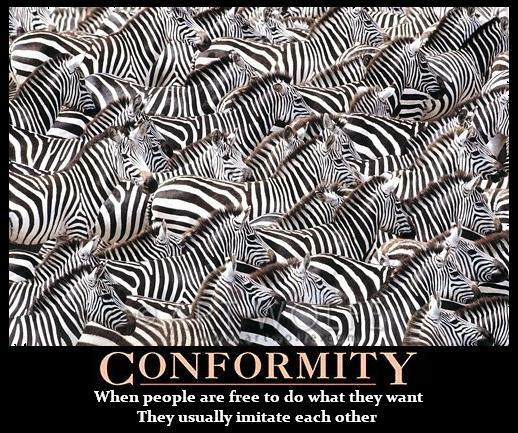 Find an image related to conformity and one on identity that you find informative or revealing. I will share a Google Doc with you./ Place the image in the document and write an explanation of what the picture means and why you might agree or disagree with it. I remember reading a poem called The Little Boy in my early years as a teacher. It is written by Helen E Buckley and it had a profound effect on me because it identified something I hoped to avoid and that is stifling the creativity of my students through not giving them opportunities to be creative and express themselves. Once a little boy went to school. It was quite a big school, but when the boy found he could go right to his room from the playground outside he was happy, and the school didn’t seem quite so big anymore. One morning when the little boy had been in school for a while, the teacher said, “Today, we are going to make a picture.” “Good,” thought the little boy. He liked to make pictures. He could make lions and tigers and trains and boats. He took out his crayons and began to draw. 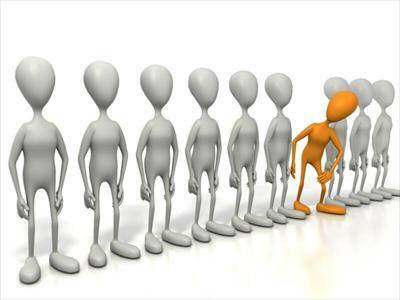 But the teacher said, “Wait, it’s not time to begin.” And she waited until everyone looked ready. “Now”, said the teacher, “we are going to make flowers. “”Good,” thought the little boy, and he began to make beautiful flowers with his orange and pink and blue crayons. But the teacher said, “Wait.” She drew a picture on the blackboard. It was red with a green stem. “There, now you may begin.” The little boy looked at the teacher’s flower. He liked his better, but he did not say this. He just turned his paper over and made a flower like the teacher’s. It was red with a green stem. On another day the teacher said, “Today we are going to make something with clay.” “Good” thought the little boy. He could make all kinds of things with clay – snakes and snowmen and elephants and mice – and he began to pinch and pull his ball of clay. But again the teacher said, “Wait, I will show you how.” And she showed everyone how to make one deep dish. The little boy just rolled his clay in a round ball and made a dish like the teacher’s. And pretty soon the little boy learned to wait and make things just like the teacher’s. And pretty soon he didn’t make things of his own anymore. And then it happened that the little boy and his family moved to another city and the boy had to go to another school. On the first day he went to the school the teacher said, “Today we are going to make a picture. “Good”, thought the little boy and he waited for the teacher to tell him what to do. But the teacher didn’t say anything. She just walked around the room. When she came to the boy she said, “Don’t you want to make a picture?” “Yes, “said the boy. “What are we going to make?” “Well, I don’t know until you make it, “said the teacher. “How should I make it?” said the boy. “Why, anyway you like!” “And any colour?” “Any colour” said the teacher. “If everyone made the same thing in the same colour, how would I know what and which was which?” “I don’t know”, said the boy, and he began to draw a flower. It was red with a green stem. equipment, a pencil or pen, you can master all you read. 7. gain confidence in your reading. 1. Underline the parts that you think are important. In the margin, make a note why you think it is important. 2. Put a star in the margin of an unusual idea, a new thought, something you want to go back and take a second look at or an interesting quote. Jot a note about it as well. 3. Put a question where you don’t understand something. 4. Write your personal connection to the passage. It may relate to your life, remind you of another idea, or just be a comment you would like to make. 5. Write down the surprises you encounter as you read. 6. Make a prediction. Write what you think will happen next. 7. Circle a new vocabulary word. Guess its meaning in the margin. 8. Look for passages that illustrate the tone of the piece. What words, feelings, and effects does the author use to create mood for the piece? 9. Mark where the author indicates the theme of the piece? 10. Notice and mark any foreshadowing the author uses. 11. Mark the examples of symbolism. 12. Notice where there is conflict in the piece. What characters are struggling? Who or what is triggering the conflict? 1. What did you think of the story? 2. What person is it written in – what effect does this give the story and how does it reveal the two main characters for us? 3. What images or expressions remain in your mind? 4. What different language styles did you notice? 5. How does the author’s use of figurative language (a language feature) position the reader? 7. ‘Gaps’ are spaces in the text that the composer expects the reader to be able to fill because of background knowledge. 8. What particualr information does someone living in Australia bring to the text? 9. Does this story deal with any stereotypes – cultural or gender? 10. What are different ways a reader can interpret the meaning of ‘hero’. Years ago Scripture Union published a video called “The Stranger” that deals with the labels we place on people to identify them. It has long been unavailable but I found a copy on YouTube. Here it is. 1. The sheriff talks about freedom and what it means to be free – he says he is more free than the people in the jail – is he right? 2. What did the badges represent? 3. What other representations can you see in this film? 4. What does the film position us to ‘feel’ about the badged people and the non-badged people and how does it do this? 5. What comment or statement is this film making about identity and conformity? 6. Do you agree with the film’s position?